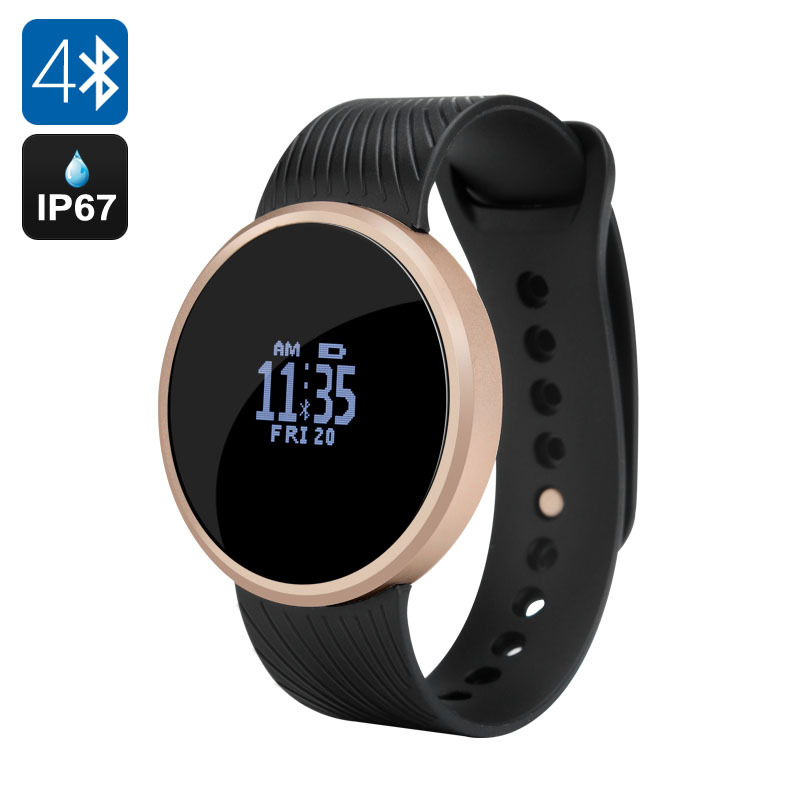 Successfully Added Bluetooth Smart Sports Watch - Pedometer, Remote Shutter, Call Reminder, IP67, Supports Android and iOS (Black) to your Shopping Cart. This fun Bluetooth watch boasts a cool design, an interactive interface and can easily handle the elements. Working as a remote camera shutter, pedometer and more, it’s a great addition to your smartphone and a nice-looking accessory suitable for any occasion. This smart accessory comes packed with useful features. With Bluetooth 4.0, it will efficiently communicate with your smartphone and you will get timely updates and notifications right on your wrist. The watch comes with a 64x48 OLED touch display and is easy and convenient to interact with. The smart watch comes with a call reminder to make sure you never miss out on important calls and notifications. If you want to make your selfies more natural-looking, the watch’s remote camera shutter will be a great help in that. With the anti-lost function, the watch will also help you keep track of your smartphone. Staying in shape in this busy world is no easy task. That’s why it’s always great to have someone on your side. This Bluetooth smart watch, although small and light, will be a big help in improving your workout routines and staying healthy. You will have a Pedometer for monitoring how active you’ve been throughout the day, Distance Recording and an even a Burnt Calories Counter for a comprehensive picture. The Bluetooth Smart Sports Watch comes with a 12 months warranty, brought to you by the leader in electronic devices as well as wholesale Bluetooth smart watches..